In this post, I have summarized how I have performed a password recovery of a WordPress installation. I have followed the instructions here. I have performed a WordPress password reset via database (Step 1 through 6) as well as a WordPress password reset via WP CLI (Appendix). Note: This document shows even more options on how to perform a WordPress password reset. Shoot! After importing a full WordPress backup made on WordPress.com into a new test WordPress installation on OpenShift, I could not log in to the test installation anymore. I do not know, why, but neither the password I have used on the target system nor the password used on the source system has worked. It is Password Reset Time! I am running my new WordPress test site on OpenShift. The next few commands are used to log into the database container of the WordPress installation. oc project wordpress # please adapt! If your Database is running on a native machine (physical or virtual), just SSH into the system. Why temporary password? You sure do not trust the Internet, so it is better to either use a local password hash generator, or you can use an online tool to create the hash of a temporary password you will change later on. I have used the second option. Do not forget to encapsulate the password into single quotes. This is needed, so $P and $BW… is not replaced by empty values. Check the output of the echo commands. mysql -u $MYSQL_USER --password=$MYSQL_PASSWORD $MYSQL_DATABASE -e "update wp_users set user_pass=\"$PASS\" WHERE user_login = \"$USER\";"
Running it on the Linux shell helps us using the USER and PASS variables defined before. Now, we can change the password on the upper right profile icon. In my case, the source of the backup is located on WordPress.com. The import of the backup from a WordPress.com installation seems to keep a connection between your local installation and the WordPress user database. At least, when you click on the profile on the upper right, and then “Security”, you are directed to wordpress.com. 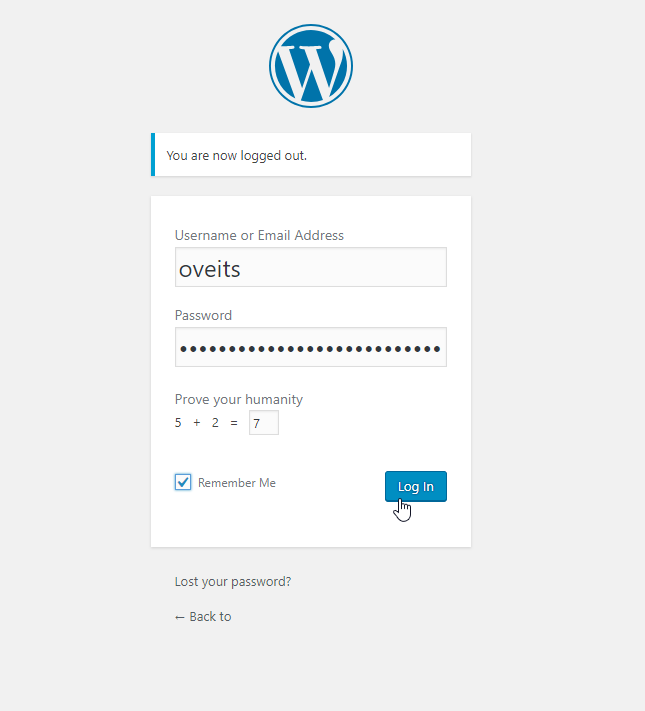 Since the target machine is a local installation, changing the password on WordPress.com has no effect on the local installation. We still need to reset the local password, and the Profile -> Security way of resetting the password does not help. You just append “/profile.php” on the wp-admin link and you reach the local profile, where you can reset the password as described in step 6 above. My WordPress Installation is running on OpenShift/Kubernetes/Docker, so I am using the Docker way of running WP-CLI on the OpenShift node the WordPress Container is running on. alias wp="docker run -it --rm --volumes-from $CONTAINER --network container:$CONTAINER wordpress:cli --path=/opt/app-root/src $@"
# alias wp="docker run -it --rm --volumes-from $CONTAINER --network container:$CONTAINER wordpress:cli --path=/opt/app-root/src $@"
You can safely ignore the sendmail error.